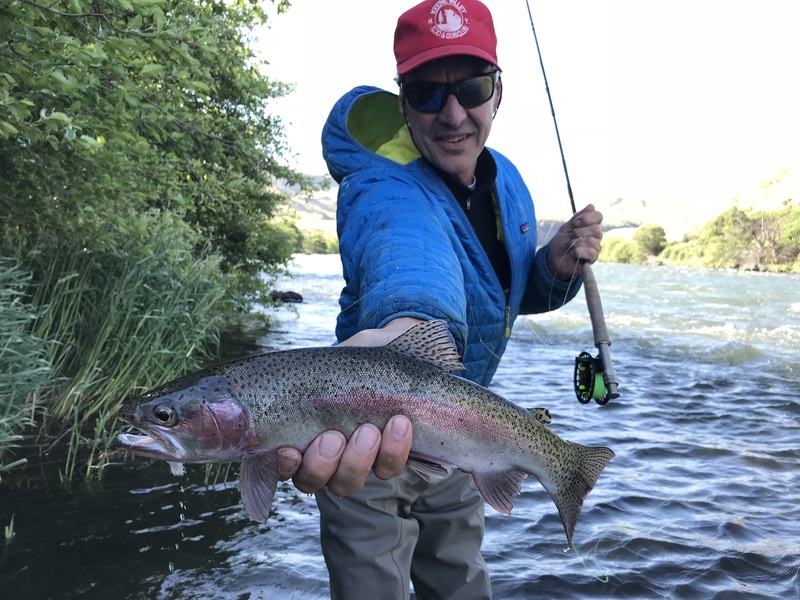 Our trout season starts in early May with the arrival of the Salmonfly hatch and ends with the arrival of Steelhead in the lower river around the 4th of July. THE MOST EXPLOSIVE DRY FLY ACTION OF THE YEAR! 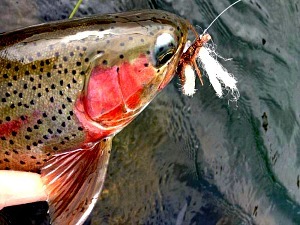 Few things in the Northwest get trout fisherman more excited than the Salmonfly hatch. The draw is the size of the bugs and the willingness of even the wiliest fish to crush dry flies on the surface. Salmon flies begin to make their migration from water to land about the same time as the golden stones and the yellow stones so it’s a smorgasbord. 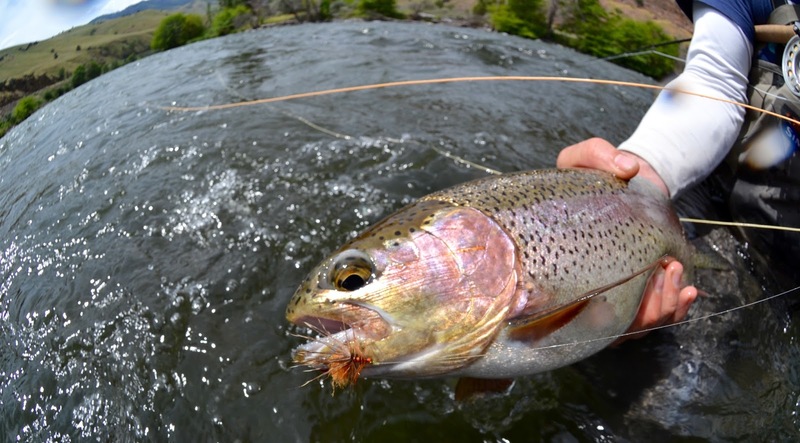 This is easily the best dry fly fishing all year long! The most popular float during trout season is Warm Springs to Trout Creek. This trip offers the highest number of fish per river mile and has the greatest amount of access minus the Warm Springs Tribal lands which can be accessed for an additional fee. Day trips are available in the Maupin Stretch as well as farther north as far as Macks Canyon. In low run off years jet boat trout fishing is available on the lower river where the fewest humans will be found. A day of trout fishing includes multiple stops in all the best spots. 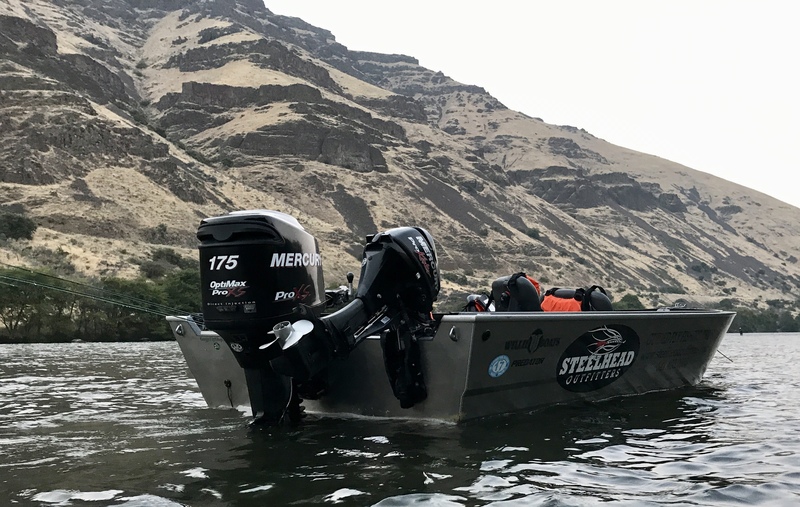 There is no fishing from a boat on the Deschutes. Drift Boat – For those with a desire to get off the beaten path, we offer multi-day camp trips from Trout Creek to Maupin. 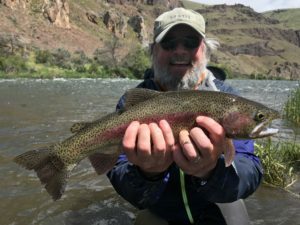 For those who haven’t been below Trout Creek, this is a bucket list trip! The pressure is noticeably lighter, and the camps are fantastic. 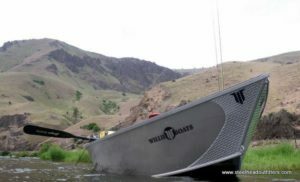 We will float thirty five miles through the wild and scenic Deschutes River Canyon. There’s only one way out and it’s downhill in a drift boat or raft. This section of river is best left to the experts. The notorious Whitehorse rapids is class III+ and plays gatekeeper, letting only the most experienced boaters through. 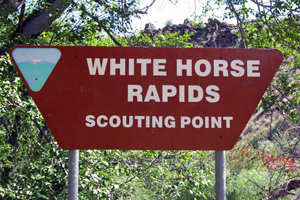 Along with Whitehorse, there are numerous classed rapids, breathtaking scenery, and wildlife abounds! Our camp moves with our “bagger” to ensure we have a prime camp spot. Camp will be set by the time we show up. For those of you who have been to Steelhead Camp, the accommodations are the same; roomy tents with cots and pads, a luxurious dining tent and you will be fed very well, maybe too well! Jet Boat – We also offer this trip on the lower 24 miles of the Deschutes via Jet Boat. This is a very exclusive trip often accompanied without any human interaction except your guide. The trout found in the lower 24 miles are plentiful and get very little angling pressure. Multi Day Jet Boat trips operate just like our steelhead camps, from a fixed location. Come check it out!